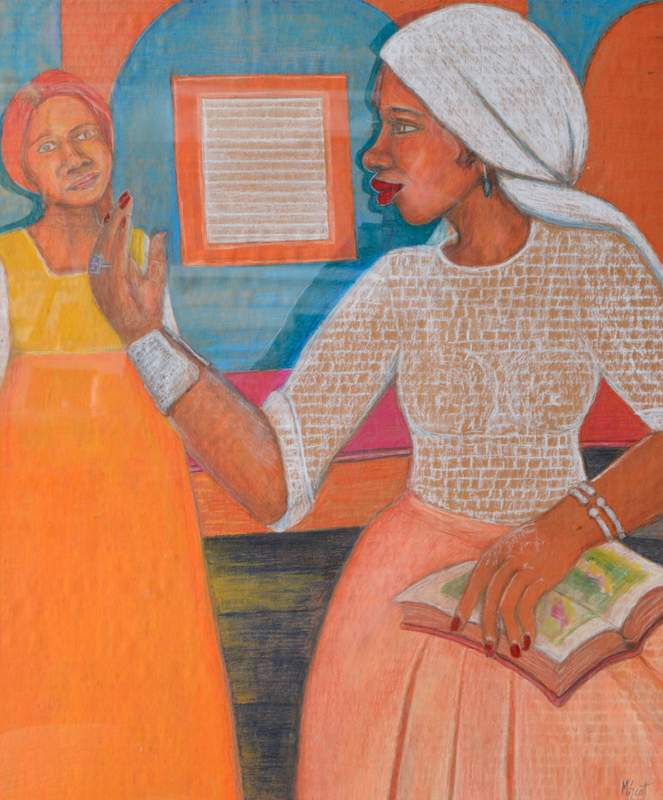 “Show And Tell.” by Madge Scott . Colored Pencils and pastels. Neil Lavey Photography.